Working at Enchantment Resort means providing friendly, sophisticated service in a spectacular setting. We consider it a privilege to come here every day and do the work we love. There are many places to develop one’s hospitality career, but the opportunities here simply can’t be matched. 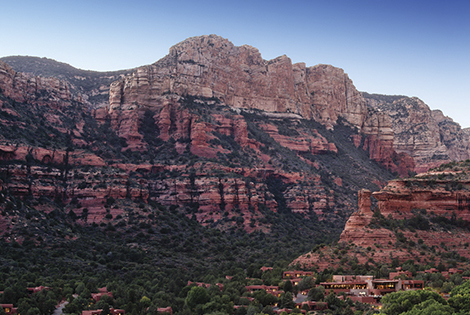 Enchantment Resort is located within Boynton Canyon, a spectacular box canyon in the Coconino National Forest. We respect and honor the land around us and have employed several conservation measures to help preserve our stunning setting for generations to come. In addition to recycling, composting and purchasing environmentally sustainable products, we include Enchantment Resort guests in our efforts by offering organic gardening and composting instruction, as well as several outdoor activities designed to celebrate our deep appreciation for this land. Despite having taken many measures to promote environmental responsibility on our property, we felt compelled to do more. We are proud to have partnered with the National Forest Service to create the Boynton Canyon Preservation Fund to further protect our beautiful surroundings. 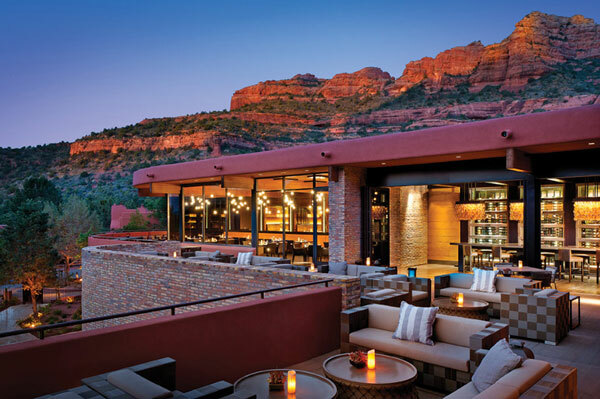 Enchantment Resort has received recognition from the hospitality industry for offering luxurious amenities with the easy, approachable hospitality the Southwest is known for. We have been honored with awards from Travel + Leisure, TripAdvisor, Condé Nast Traveler and other publications for our accomplishments and commitment to outstanding service. In addition to our traditional benefits package, employees are able to enjoy many of the same amenities we offer our guests with a team member discount. Our team may also enjoy services at our sister properties in the Enchantment Group portfolio. Golfing at Seven Canyons and indulging in spa treatments at Mii amo are just some of the ways we enjoy our time off. At work, our employees have both the ability to cross-train in other departments and the autonomy to strengthen leadership skills. We offer many opportunities for advancement within Enchantment Group, and we encourage development through mentorship and continuing education.